Writer and Director Betty Rigg’s gospel play, A Mother’s Heart, Sunday, August 28, 7:00pm at the Royal Oak Music Theatre, Michigan. A Mother’s Heart, written and directed by Betty Riggs. 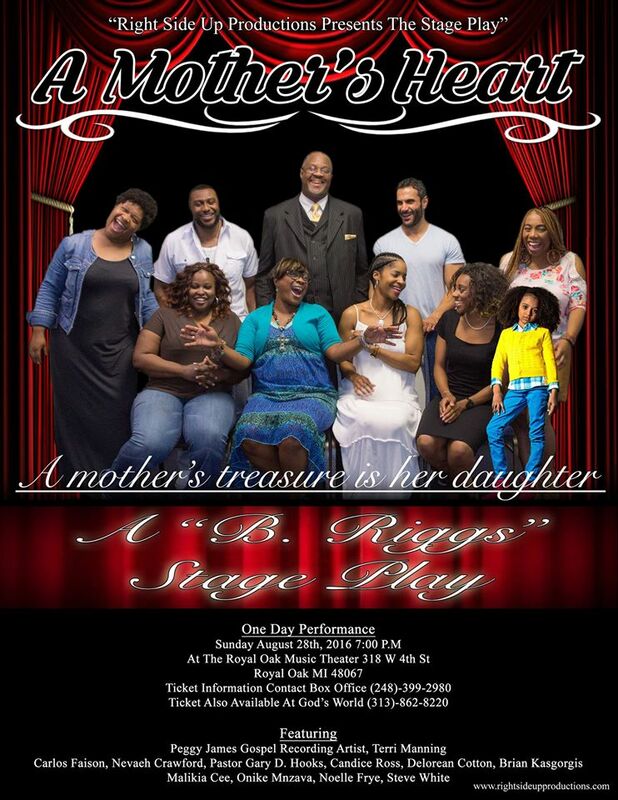 An explosive new gospel stage play written and directed by Detroit native Betty Riggs, makes the statement that drugs have no respect for race. Riggs returns to Detroit after spending years in Los Angeles working on the sets of major films including The Fast n Furious franchise and the Scorpion King. With A Mother’s Heart, Riggs brings us the compelling story of a fallen daughter and her mother’s fight to bring her back from the brink of drugs. The core message of her play is faith. 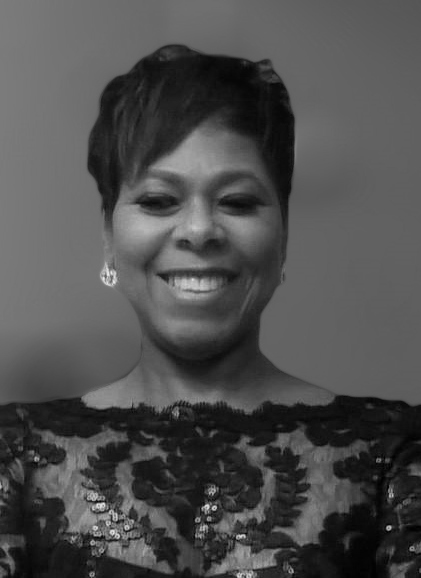 Recognizing the resurgence of Detroit, Riggs has reached into Detroit’s talent pool for her cast and crew, including the show’s producer: Lillian L. Washington. Featuring gospel recording artist Peggy James (Liz/Big Momma), Terri Manning (Tracey, daughter of Liz and Joe), Carlos Faison (Joe/Big Daddy), Navaeh Crawford (Britanny, daughter of Tracey and Tommy), Pastor Gary D. Hooks (Pastor Neal), Candice Ross (Patricia), Delorean Cotton (Bruce), Brian Kasgorgis (Tommy), Malikia Cee (Bum), Onike MnZava (Trudy), Noelle Frye (Sheila), and Steve White III (TJ). Original music by Detroit’s Jomar Harris. The production crew includes scenic design by Brian Dambacher, lighting design and stage management by Tom Libertiny, and master electrician by Mario Raymond.